India’s very own Hindustan Motors Limited, who manufactures Japanese Mitsubishi cars under a technical agreement, has launched the latest version of globally acclaimed Mitsubishi Pajero. This latest entry has been christened Mitsubishi Pajero Sport. This renowned SUV which is also the winner of the world’s toughest driving competition – the Dakar rally, is surely going to give a stiff competition to all the contenders in its segment. This latest edition of Mitsubishi Pajero Sport is expected to be better than its precursor in trendy aesthetics, power, comfort and driving dynamics as well. The price tag of this SUV varies from one state to another owing to different taxes and other duties, but the Mitsubishi Pajero price in the country’s capital is Rs. 23.53 lakh (ex-showroom New Delhi). As stated in a Mitsubishi Pajero review, this premium SUV will come equipped with a heavy duty 2.5 liter common rail, 4-cylinder turbo diesel engine with a capacity to churn out a massive power of 178 PS along with a thumping peak torque of 400 Nm. This is supposed to be the best in class power and torque combination with this VG turbo engine capable of even providing a healthier mileage, when compared with the other contenders in its segment. This majestic SUV can also be availed in a super select all-wheel drive version as well. Another impressive feature is the rear stabilizer and the turning radius of this SUV is 5.6 meters. 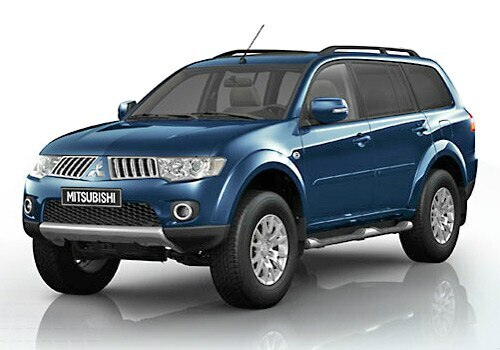 It also has a brilliant façade that is eye-catching with a sleek body line as seen in the Mitsubishi Pajero pictures. This most modern Mitsubishi Pajero Sport was revealed by the Director of Hindustan Motors Limited Mr. A. Sankara Narayanan and Mr. Masahiko Ueki, who is the Executive officer as well as the Corporate General Manager of the Asian continent as well as the ASEAN Office for Mitsubishi Motor Corp. based in Japan.